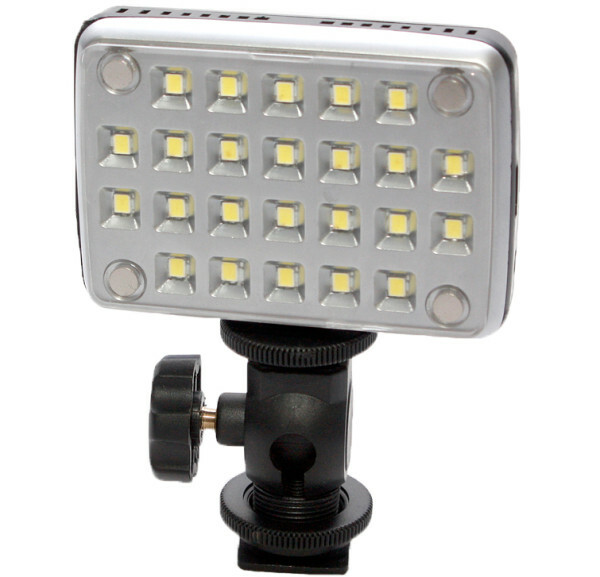 Manda has released a pair of small and portable LED panels designed for use with cameraphones. If you ever have shot photos with the flash on your cellphone you might have been disappointed with the quality. Most LED smartphone flashes are harsh and lack power, leaving you with unflattering and underexposed photos. Help is at hand! Manda, a company from Hong Kong, offers to solve this problem with their newly-released palm-sized LED panels. The two small LED panels, the SC-24 and SC-80, are approximately the size of a smartphone and are able to provide some off-axis lighting to assist you in your Instagram adventures. At 2 cm thick and 90 g (excluding battery) they are portable enough to put in your bag and forget about. The dimmable 480-lumen LED light provides daylight-balanced light (5800 K) and can be mounted on a tripod as well. A hotshoe adapter is included in the kit. While the LED panel is small, you still have to remember to take it with you and keep it charged. This raises the question of if you are not better off bringing a small point and shoot camera instead. However, if you have already experienced situations where your smartphone has disappointed you, maybe it is time to look into buying a small LED panel. It’s not just the extra light that helps, but the fact that you can light your subjects from off the camera axis and get creative. For more information, visit the manufacturer’s web site.